New research from the think-tank Demos has found that 26% of 16-18 year olds surveyed admitted they had ‘bullied or insulted someone else online’. It also indicated that there is a gender imbalance in this, with 32% of boys involved in online bullying in comparison to 22% of girls. These figures are of course likely to be very conservative estimates of actual levels of online bullying, with some children not wanting to admit they have been involved in such behaviours, while others may even be unaware that what they have done may be perceived as bullying by others. These statistics raise a very important perspective for schools to consider. Often the focus in schools is on educating the bullied to ensure they know how to deal with the consequences of bullying. All too often there is inadequate focus on helping children to understand the consequences and impacts of their own negative behaviours online. 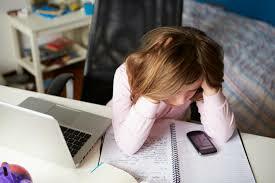 Programs to enhance levels of empathy and self-control are essential if levels of online bullying are to be reduced. The report does provide one very positive ray of light, namely that 88% of children surveyed ‘had given emotional support to someone online’. Read the full report here. The OSA Certificate of Online Safety provides an excellent means of enhancing student understanding of the types, causes and implications of online bullying. It also ensures students are fully aware of the possible consequences they might face should they actively engage in online bullying. Learn more about our Certificate of Online Safety here.